Our material is made after long research, by successful candidates. It is based on well known reference books, GSEB & NCERT. So students don't need to read anything else. No need to join any coaching institute also. Anyone can prepare better from home. 100 Most imp current affairs questions with answer in Hindi, English and Gujarati. Very useful for All type of Competitive Exams Like UPSC, GPSC, MPSC, RPSC, BPSC, UPPSC, APPSC, SSC, NDA, CDS, IBPS PO & CLERK, SBI PO, SBI CLERK, PSI, RAILWAY, LIC, TAT, TET, CAT and more. www.crackgpsc.com is a very useful site for students preparing for GPSC or any other competitive exam. I like daily news and Current Shatak questions. It's awesome. We get good material for maths also. Latest news, whos who is also nice. Online Test is unique. Thanks to Crack GPSC team. Keep it up. Very useful site to prepare any competitive exam. If concerned to information and material, each section of this site is the best in itself but current affairs section contains most imp questions & information. Material uploaded is very authentic and with zero errors. I suggest to visit it. it will help to answer corner questions in any exam. It's the best site in Gujarat. Many questions are asked directly from your Current Shakak and Monthly Current Affairs. I am fond of it. You are doing great work. Thanks to give such kind of good material and support to students like us. www.crackgpsc.com is a great site and very helpful to students. I have also downloaded current shatak and all papers for gpsc exams. It is helpful not only in gpsc exam but also in many exams like bank recruitments, any government recruitment. This site makes your general knowledge powerful. This is very good site. I am preparing for GPSC & other competitive exams. The literature given by crackgpsc.com is the best and very useful in all type of exams. 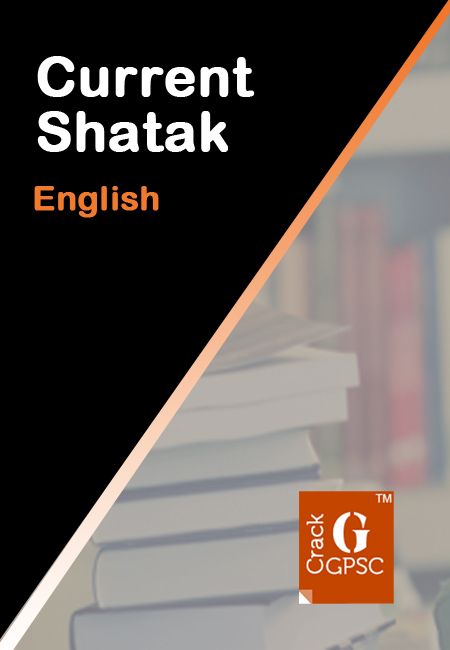 I have marked that many questions are asked from current shatak and Monthly current affairs pdf in exams. Online GK Test, Practice GK & Practice Current Affairs are awesome. crackgpsc.com provides the best platform for all competitive exams like GPSC, Dy.Mam, Dy.SO, IBPS, clerk etc. I like continue updation of current affairs. It helps me a lot in all competitive exams. I am sure and can say with full trust due to your reference and guideline i will achieve my goal. The best site for preparation of GPSC. Recently I have cleared Binsachivalay Clerk exam. Through your site i get latest and useful current affairs which is very helpful to crack exam. Now I am targeting GPSC. I need more support & help from this site. I am so much thankful to you and your team. You guys doing great job. The ultimate website for those who wants to crack GPSC easily. It's useful in all exams. All in my friend circle are using this site and also your mobile app. Your contains are most imp and very authentic. Thank u very much to help students like us. I appreciate your work. I heartily want to say thank you for your work and help to all students via www.crackgpsc.com. It's a good website which covers all most all the topics of current affairs. I am a regular user of your website. It helps me a lot for improving my current affairs. It also helps me in exams. Wonderful site for preparation of GPSC/any competitive exam. It provides the best & most imp current affairs and general knowledge(GK). Monthly Current Affairs, Current Shatak, online test are excellent. I prepare current affairs from your site and app only. Current Shatak and Monthly Current Affairs both are the best. Online Test is Unique. The quality of Questions of Online Test are far better then all others. Site and App both are Excellent. Well done. Thanks to Crack GPSC Team. It is simply the best and no. 1 website in Gujarat. For Current Affairs it's No. 1 in India. It provides most imp & to the point Current Affairs in short so I can prepare and revise it in a very short time. Coz of it I can concentrate on other subjects. Thanks to Crack GPSC team for such wonderful, useful site.